We are just entering the splendor of Autumn; there’s no better time for a drive in the country! 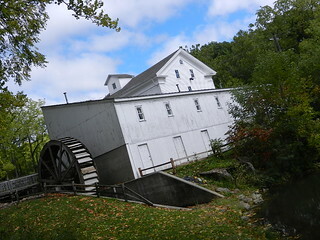 Nuzzled along the banks of the Clinton River in Ray Township sits Wolcott Mill; built in 1847, it is one of the few remaining historic grist and feed mills. 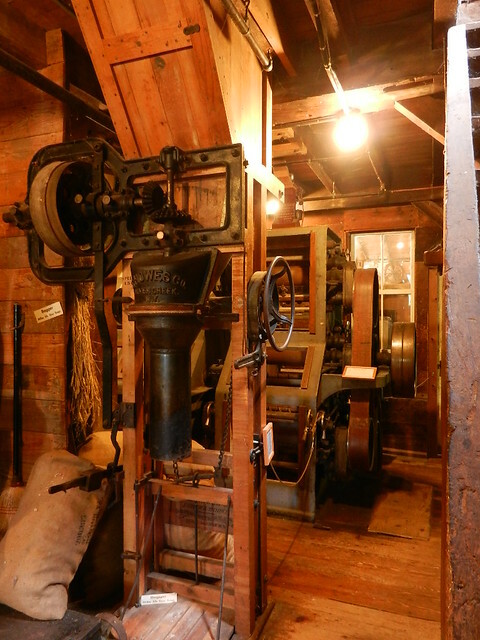 The mill is located within a 2,380 acre park and is part of the Huron-Clinton Metroparks, another great reason to purchase a yearly Metro Park Motor Vehicle Permit. 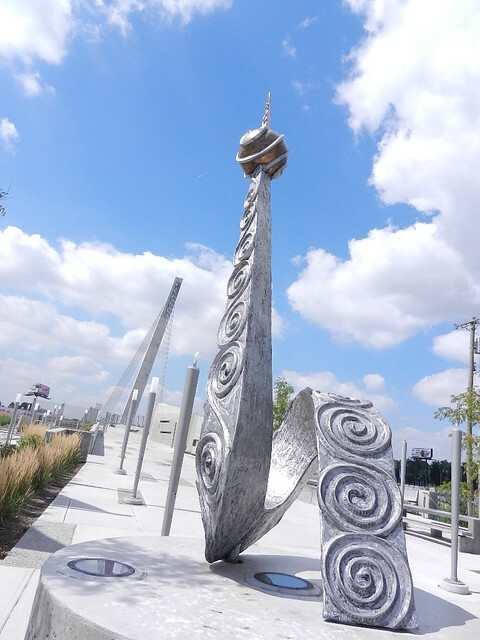 Park in the designated lot and follow the walkway; the setting is picturesque, lush green grass, tall maples already turning red, a pedestrian bridge over the river as you overlook the large white structure with it’s signature water wheel. 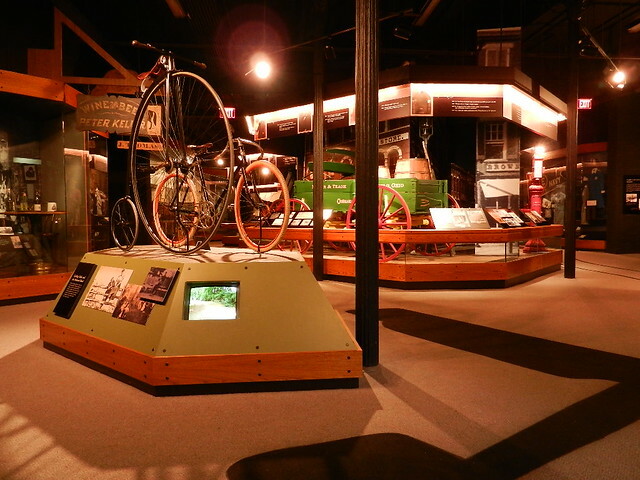 Inside are exhibits dedicated to the history of Wolcott and the items it produced right up until 1967; you really get a great feel for the area and the times. 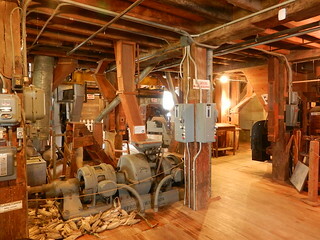 From this room go through the door into the mill itself, it is still complete with all of the grain grinding machinery that was used for its operations. Informative signs and samples of the grains take you through the process of making both flour and feed, it’s really interesting to see how it’s done. 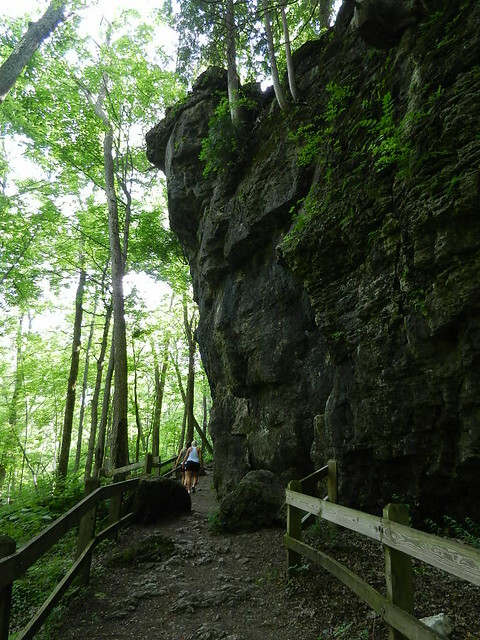 The surrounding park area offers 3 scenic walking trails, parts of the trails follow the north branch of the Clinton River while other sections lead you across fields, through woods, and over wetlands. 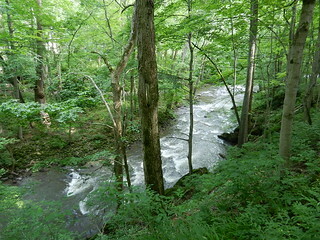 The longest of the three is Settlers Trail which is 2.2 miles. 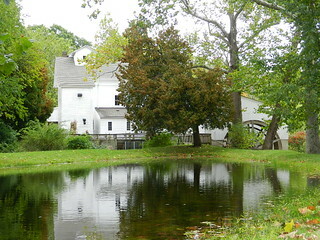 There is also the par 72 Wolcott Mill golf course, and situated a short drive away is Wolcott Farm, check out our previous post on the Farm here. We left Wolcott Mill and took 29 Mile Rd west to old Van Dyke, then went north into Romeo. 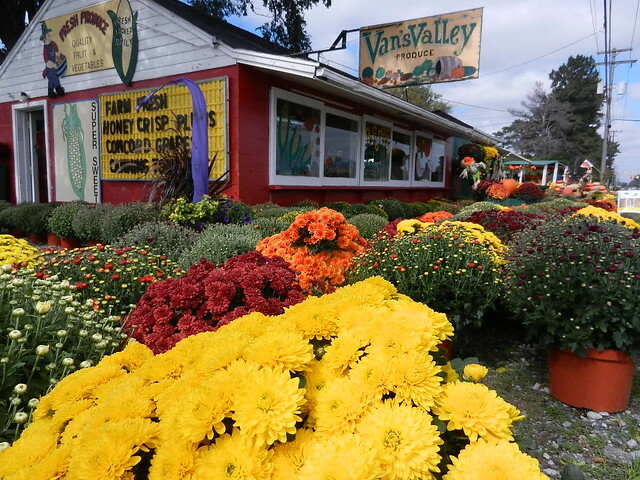 I love this section of the road, especially at this time of year; Van Dyke is bordered by fruit orchards, cider mills and farm stands. Somehow the village of Romeo has managed to maintain its small-town feel among all the new development going on around it. 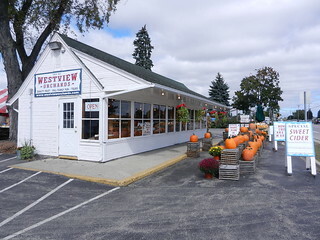 Our first stop was Verellen Orchards on the east side of the road, we walked into the market and were greeted by the aroma of apples. 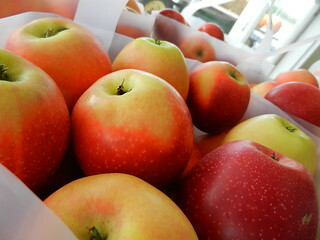 The length of the storefront showcases variety after variety of apple piled neatly into bags, showing off their colors; reds, yellows, golds and green. 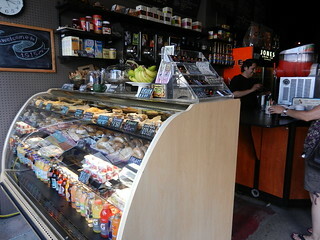 Opposite is a glass case offering up baked goods; donuts, pies, and other goodies. I made my purchase and we were onto the next market. 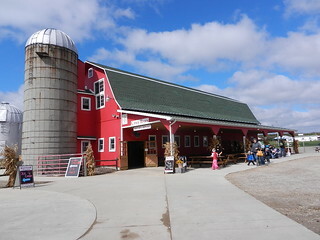 The largest by far is West View Orchard and Cider Mill, along with the standard cider mill fare they have an ice cream and candy shop, a petting farm, corn maze, and all sorts of other family activities. On a warm fall day cars will be lined up on Van Dyke waiting to get in! It was early and the temperature was still chilly so we had no problem getting parked. We stepped into the store to have a look around; shelves are stacked with homemade jams and jellies, bags of apples are lined up on a table, hot cider perfumes the air as trays of donuts are brought in and empty trays are taken to be refilled. There are deep dish pies in fruit or cream flavors, flips, breads and of course pumpkin logs. We picked up a few donuts and cups of cider and went outside to sit and eat, yum! Next stop, Van’s Valley Produce. 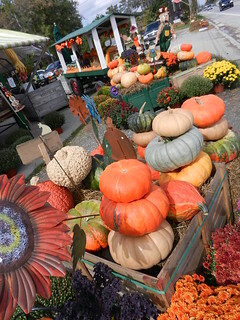 Just a bit further north, their Autumn display is gorgeous; huge pots of mums blooming in burgundy, yellow and rust colors, multi colored pumpkins and gourds are stacked upon one another in an eye pleasing fashion, scarecrows and hay bales add a touch of whimsy. 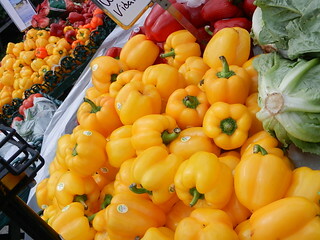 Large carts of produce are arranged outdoors: fresh picked cauliflower is massive in size, acorn and butternut squash are plentiful, indoors you can find tomatoes and other market fare. It is impossible to drive by without stopping, I wished I could buy everything ! 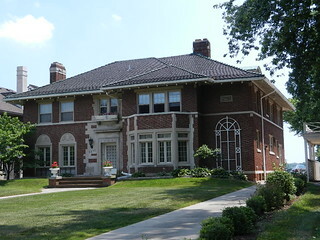 Residential Romeo is is made up of magnificent Victorian homes; drive up and down through neighborhood streets taking in the beautiful historic setting. Tillson street in particular has a grand reputation for it’s amazing Halloween Decorations, they even have a website! The week of Halloween is probably the best time to check it out, it’s unbelievable, and worth the trip. The sun came out and with it the crowds, it was time for lunch so we hit the road. 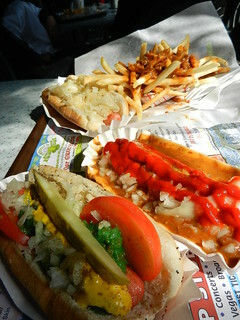 There’s a kitschy little hot dog place in Rochester we thought would be fun to eat at, so we drove to Lipuma’s on Main Street. It seemed a lot of people had the same idea and when we arrived there was a short line out the door, thankfully it moves quickly. 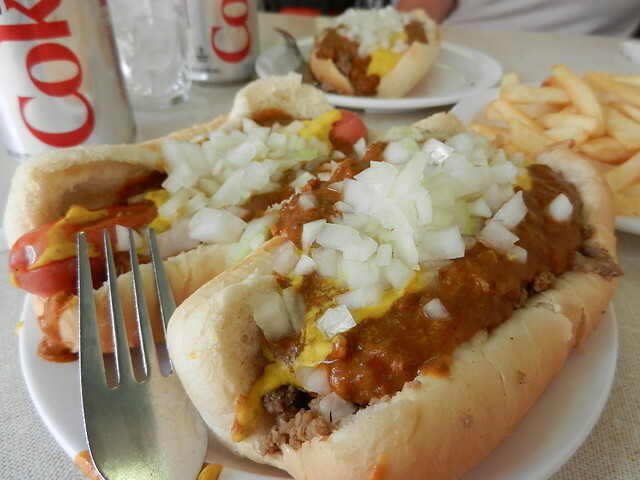 Once you eat here, you’ll always come back; the list of hot dogs and toppings is long, fries are pile high, service is fast, and the food, delicious. The building is nestled next to Paint Creek; they have a large covered deck overlooking the running water, when it gets chilly they enclose it and add portable heaters, in nice weather you can sit outside at picnic tables along the creek. I have one warning for you: Beware of the Ducks! Well, okay, it’s not like they’re a real threat, but than can get very friendly, and they like hot dogs…… As a matter of fact there was one female who came right up on the deck waddling from table to table looking for a snack, when nobody gave in she went right back out. When we finished our Chicago, New York, and Mexican dogs with chili fries we strolled out to the water, for a moment the ducks were excited to see us, they came over to see what we had to offer, when they realized we were empty handed they retreated back to the creek. The sky had finally cleared, a perfect way to cap off a wonderful afternoon. Friday was the perfect Summer day; Bright sunshine, blue sky, and a light breeze; the kind of day that compels you to be outdoors. 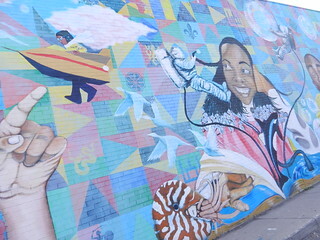 Southwest Detroit is a wonderful area to explore, it has a character all its own; lively and vibrant, bright colors and appealing artwork abound, even in the most unsuspecting places. We started our adventure at the recently opened Bagley Pedestrian Bridge, part of the $230 million dollar Ambassador Bridge Gateway Project, the project itself provides bridge travelers a stunning introduction to Detroit. The pedestrian bridge is an asymmetrical 155 foot high pylon cable-stayed design, it is actually the first cable-stayed bridge in Michigan. 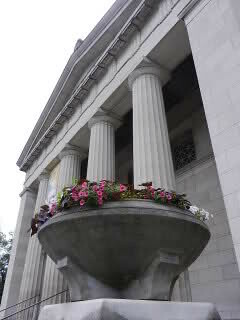 From it you have panoramic views of downtown, St. Anne Church (the second oldest Catholic parish in the U.S.), and of course the Ambassador Bridge. 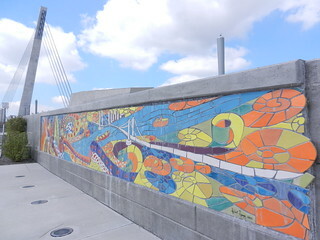 The east side of the bridge features a towering metal and concrete sculpture; a dynamic tile mural highlights the crossing showcasing the Detroit River, Detroit landmarks and the local flavor of the neighborhood. 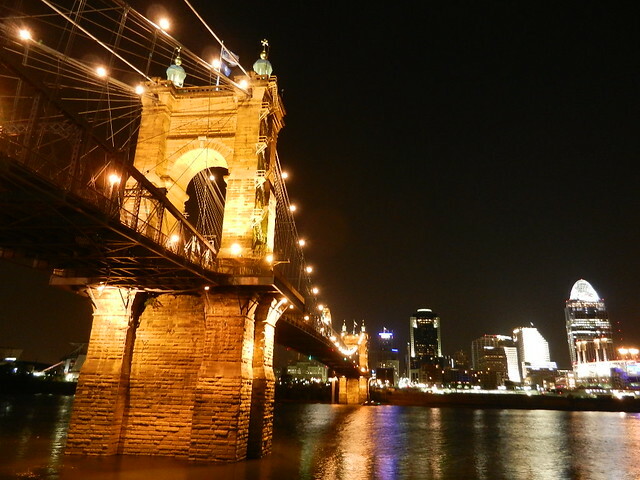 The bridge unites the area after many years of separation with the building of I-75, now locals and visitors alike can enjoy the district on foot. 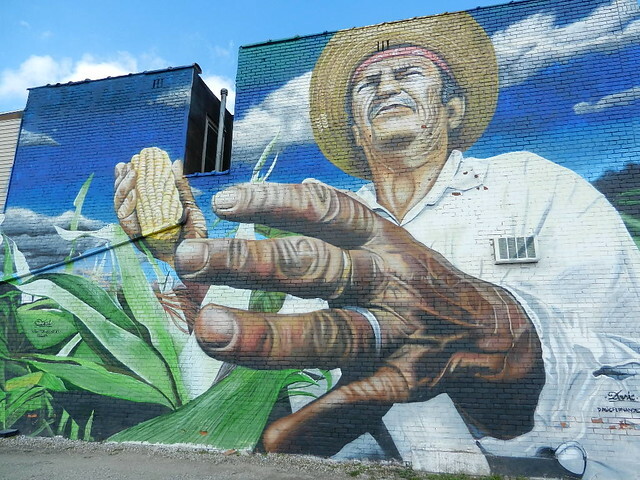 From there we wandered around Mexican town east of the bridge in search of the murals that decorate Southwest Detroit; a drive down Bagley and Vernor reveal fantastic ironwork and art. Cross over I-75 further into Southwest; the area is dense with restaurants, shops, and local businesses. 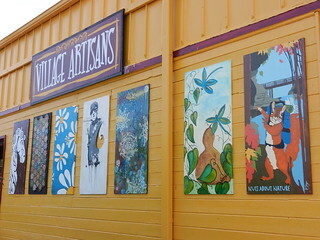 Large murals occupy the entire side of buildings; a bright purple wall is the background for a portrait of a woman and her guitar, children’s imagination’s are illustrated on one wall, a giant rendering of a farmer in his cornfield reaches out to passerby’s on another, public benches are decked out with mosaic tile decor and embellish the area. After a combination of walking and driving to take pictures, we were ready for lunch. 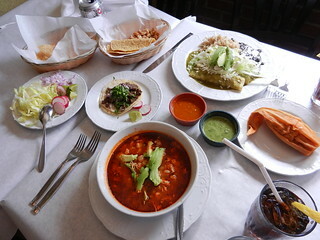 We strayed from the beaten path a little bit to Junction and Michigan where El Barzon is located. When you walk through the door you will notice this is not your typical Mexican restaurant; a bit more upscale with white tablecloths, glass stemware and a rose on each table. When you are seated you are offered a wine list and menu, open the menu to the unexpected; one side is traditional Mexican dishes, the other side Italian. Servers are very attentive, our water glasses were filled quickly and the chips and homemade salsa arrived shortly thereafter. Immediately we dug into the chips eager to try both the red and the green salsa; red being spicy, this is a smooth sauce bursting with flavor and just the right amount of kick to it. The green on the other hand was very light and fresh tasting, it had a creaminess to it that I would bet came from avocado, both are delicious! We didn’t stray from the Mexican page and ordered a Tamale; over-sized, moist and flavorful. The enchiladas; filled with cheese and topped off nicely with a green sauce, this is not your usual melted white cheese that oozes out when you cut into the enchilada, but more of a mild crumble type, oh it was so good. We also tried the Pozole, served in a large bowl, it is a spicy broth base with pozole (hominy), vegetables, tostadas, and chicharrones, and we chose the chicken; break up the tostadas and use them like crackers in soup, then top with the vegetables, a little radish, some avocado, so tasty. We have to come back and try the Italian one day soon. 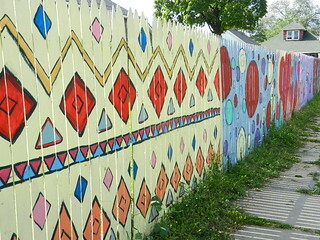 Refreshed and refueled we were ready for more exploration, this time through the neighborhoods.We had previously noticed a number of residential fences painted with delightful murals designed to beautify the area. 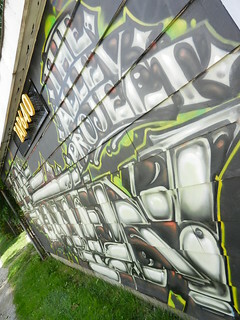 This time we came across a building with an impressive graffiti-type mural; the owner explained to us that students from Wayne state were going around to local businesses and offering their services for free, how cool is that? 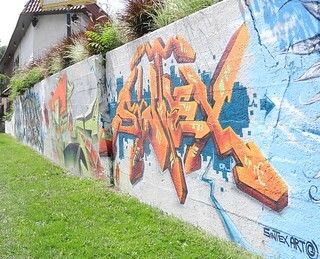 That’s when we stumbled onto The Alley Project (TAP). 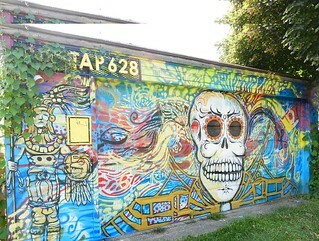 This walking gallery is awesome; spanning one full city block the project takes you through the alley behind Avis past a multitude of garages serving as canvasses for high quality multi-color murals, Wow! 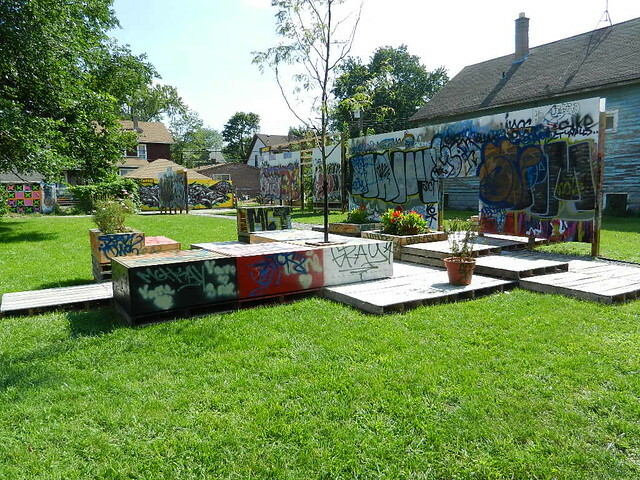 On July 4th of this year The Alley Project opened a common art space comprised of two empty neighborhood lots for neighbors and artists; providing places to sit and gaze at the billboard style displays, there are also raised flower beds and a gravel pathway that takes you from the street to the alley. This is definitely worth checking out! 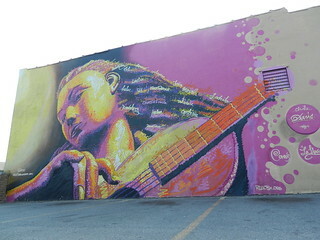 We parked on Vernor in front of Cafe Con Leche and walked the short distance to the MexicanTown Bakery. 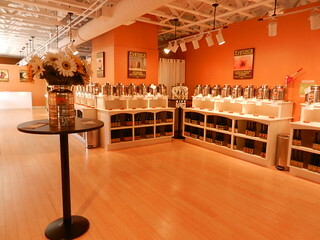 We love this place; the scent of fresh baked goods perfumes the air, tall metal racks with a dozen shelves hold the most recent items to come from the ovens, the wall to the right is cabinet after cabinet filled with sweet delights. Further back are rows of Mexican groceries and canned goods, everything you need to cook and authentic meal. Each time we come I like to try something new, I haven’t found anything yet I didn’t like; cookies, pastries, rolls and cakes they are all delectable. Kris really likes their chocolate cookie covered with tons of mini chocolate chips. Me,I don’t know what it’s called, but I’ll tell you my new favorite; when you look at it you will see that it is covered in granulated sugar, I mean it looks like it was rolled in sugar and then rolled again, really. There are two halves and they are held together with a raspberry filling that has squeezed out the sides. Take a bite to reveal the yellow colored dough, it is more crisp and crumbly than soft and chewy, the cookie part reminds me in the slightest way of a chinese almond cookie in color and flavor. The combination of flavors and textures is just right and went perfectly with my iced americano from the coffee shop. Ann Arbor is one of those cities where you never run out of things to see and do. 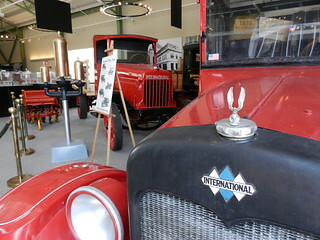 We took a drive out on Sunday, but didn’t have a lot of time to spend in town. It was already near lunchtime so we went directly to the Historic Kerrytown District. Kerrytown Market & Shops has a lot to offer; one large building divided up into many individual spaces. 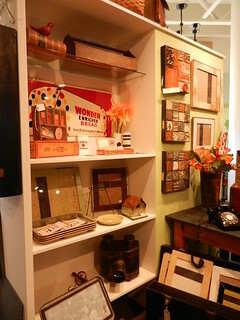 It’s fun to ramble the hallways and check out the shops; There’s a lovely antique shop on the second level, vintage items are laid out in eye-catching displays, many have been re-purposed. A children’s toy store bustles with activity, items arranged in the window draw in kids of all ages, and you can smell the spice store even before you see it! 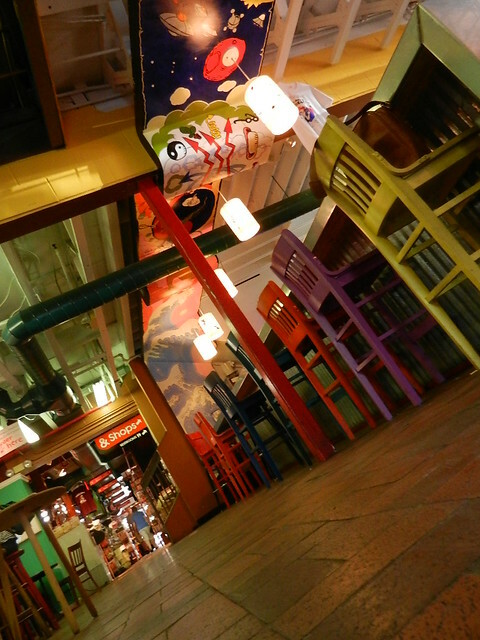 The lower level is all about food; a seafood market offers the freshest fish and homemade chowder, if you’re really hungry have a seat at the counter and enjoy a meal. An oil & vinegar shop allows you to sample both in flavors you have never dreamed of, I wonder if they would mind if next time I brought a nice baguette for dipping.The wine shop stocks a great variety of bottles and the prices won’t give you sticker-shock. Sparrow market encompasses a large area that sells fresh produce, gourmet and organic goods.The market area is a bit cramped, which to me makes it all the more interesting; when you are inspecting the shelves be sure and scan from the top, all the way to the floor. The bakery always has something tempting in their showcase, if you see a Whoopie Pie, buy it! Enough shopping, time to eat. 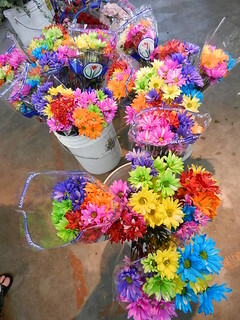 We like to have a seat on one of the colorful stools along the stainless steel counter at Kosmo. That way we can eat and do some people watching at the same time. 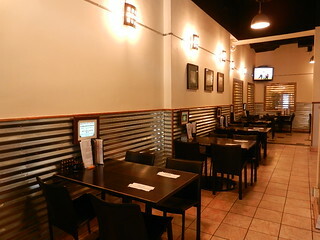 This tiny Korean-inspired spot is always busy, with low prices and good food it’s easy to see why. 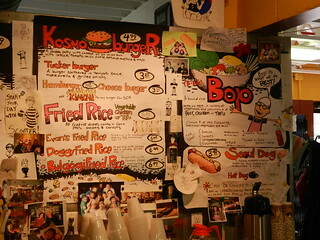 The menu is located on the wall behind the counter, colorful hand-drawn graphics and descriptions help you decide. After you place your order scope out the cool muraled ceiling, and wait for your order to arrive via the robot’s mouth…….really. Our favorite is the Bi Bim Bap; served in a large metal bowl over rice, you choose the vegetables. We like the zucchini, mushrooms, daikon and tofu, and true to form it is topped off with a fried egg. As soon as it arrives I like to take the serving spoon and break up the egg, warm yellow yolk coats the brown rice and veggies. It is served with their own Korean hot sauce, thick and red this sauce has a bit of a sweet side to it. For a side you have to try the Twigim; fresh vegetables such as onions, green beans, sweet and white potatoes cut into chunks. battered and deep fried, think tempura with a kick. The batter is light and crispy, be careful it arrives hot. They make a sauce for this too, also on the sweet side, people can’t seem to get enough of it, soft drinks are served in cans. 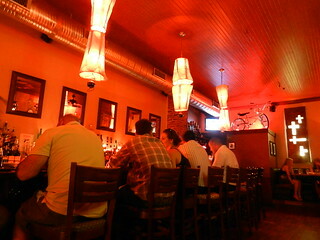 We find the wait staff very friendly, and the atmosphere fun. When we are in the A2 area a trip down Huron River Drive is mandatory. 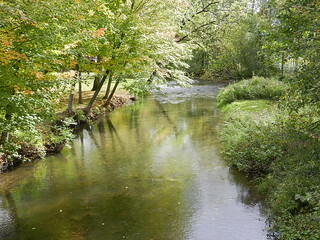 The road runs along the Huron River, mimicking its curves. There is a bit of elevation change here and many exquisite homes take advantage of it; perched up high they have an incredible view. 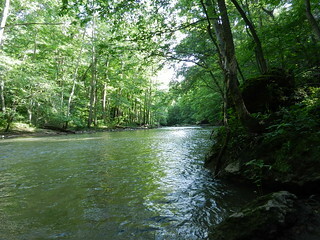 There is no shortage of parks and trails, the river provides the perfect natural environment. We stopped in at the Barton Nature Area to have a look at the dam. 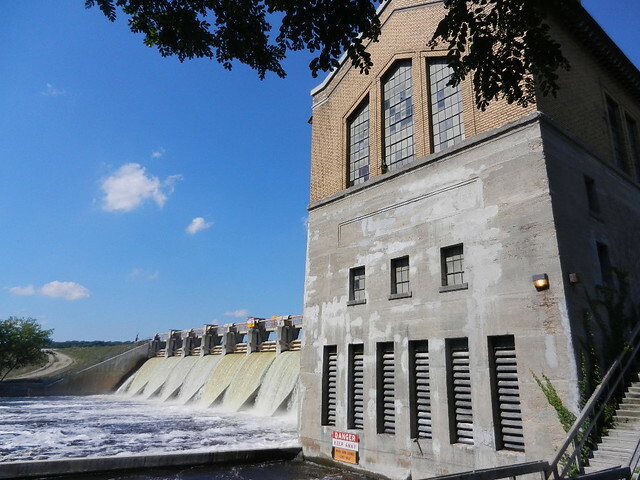 Originally constructed in 1913 as a hydroelectric dam, at nearly 35 feet high, it is extremely impressive. We parked the car and walked the short trail to the dam, a stairway leads you to the top where you can overlook Barton Pond. What a sight; Splendid homes line the perimeter of the pond, benches allow you to relax and enjoy the view. There is a metal walkway that bridges the dam, it’s kind of a spooky feeling to be standing at the top looking through the open metal grating as thousands of gallons of water rush beneath you. It was another hot day and the mist off the waterfalls was refreshing. 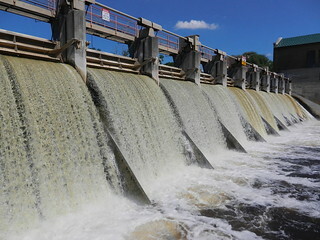 The dam still produces hydroelectric power today and generates 4.2 million kWh a year. A great piece of historic engineering worth a visit! I LOVE Belle Isle! 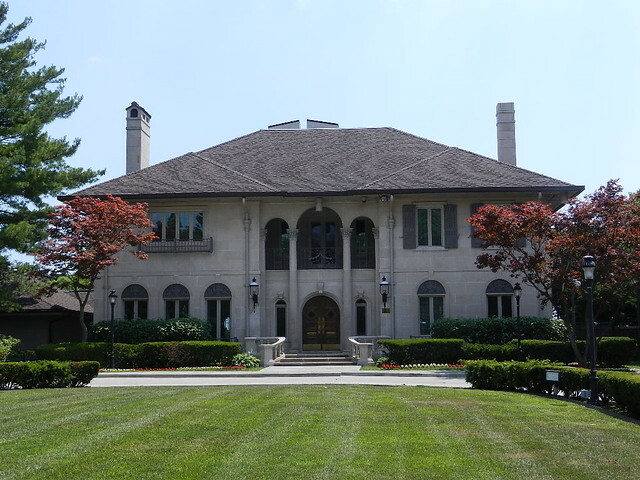 In addition to providing spectacular views of Detroit and Canada, passing freighters and the Ambassador Bridge the island has several other attractions; the Conservatory , Scott Fountain, Nature Zoo, the yacht club and today’s visit, the Dossin Great Lakes Museum. 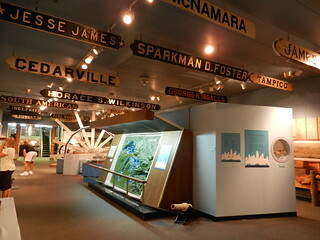 The Dossin Museum explores the history of the Detroit River and the Great Lakes, every time I come here I am reminded of what an incredible history Detroit has. 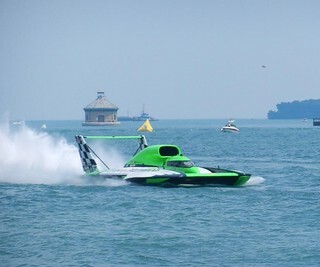 Just outside the building you can actually touch the giant anchor of the legendary Edmund Fitzgerald, there is a an old Coast Guard boat set on the ground, and an enclosure that lets you get up close to the first hydroplane racing boat to ever top 100 mph: Miss Pepsi. All this even before you go inside! 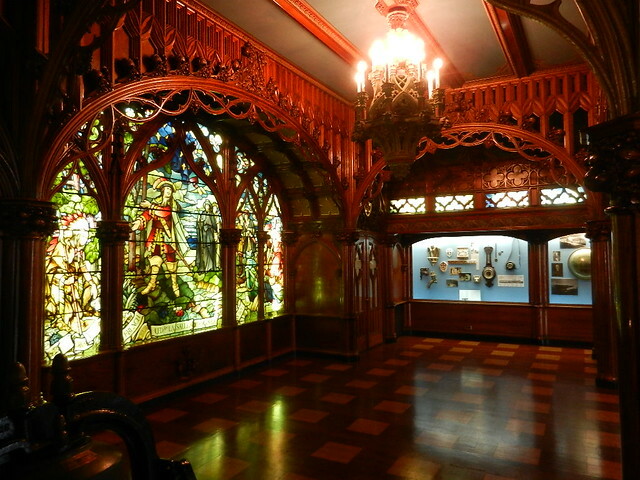 Enter the museum building, you will immediately find yourself in an extremely ornate space, it is actually the ‘Gothic Room’ from the Sidewheel Steamer “City of Detroit III”, built in 1912. It is hard to believe this was the lounge on the top deck of a boat! 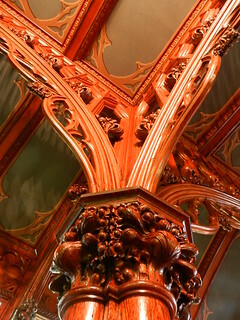 Intricately carved English Oak surrounds the room; take the time to really study the details, the work becomes more complex as your eyes travel upward. Open Gothic archways sit upon richly decorated columns and divide the space, a large stained glass window takes up much of one wall. 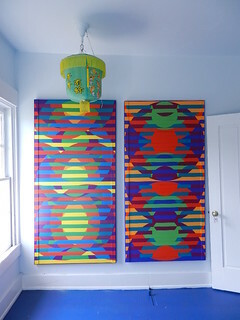 Light fixtures and sconces are unique and elaborate in their design. 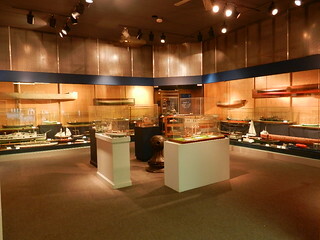 A glass case runs along one wall displaying artifacts and photos from this floating hotel. 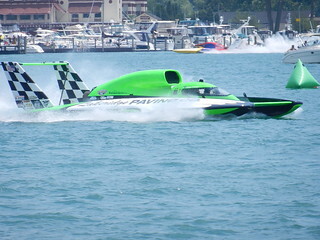 The boat made regular trips from Detroit to Cleveland or Detroit to Buffalo, and on rare occasions traveled north through the Great Lakes. Imagine what it must have been like to travel in such style! 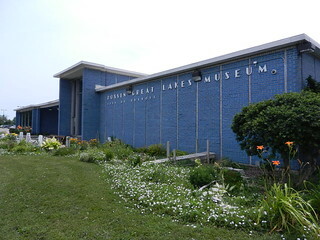 The vessel was scrapped in 1956, fortunately the collection was purchased in 1965 and is now available for all to see. 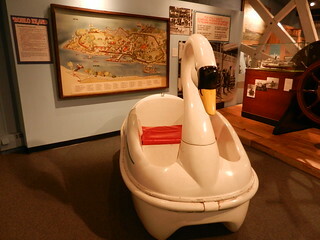 There are a great number of things to see in the museum, do you remember Bob-Lo island? 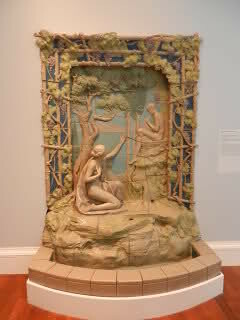 The display is sure to bring back memories and a smile. 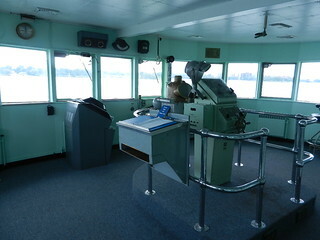 The William Clay Ford pilot house was reassembled for the museum, stand behind the wheel in the real bridge of a Great Lakes Freighter ship. This is a great spot to watch the freighters go by, they have live communication between ships and shore, very interesting. 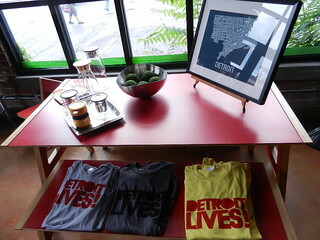 The day we were there it was Detroit’s 310th Birthday, there were cupcakes and lemonade to celebrate! 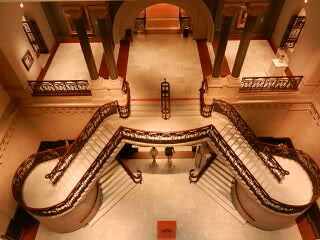 This place is really fascinating, so much to see, the docents are great too. Make a plan to stop in soon! 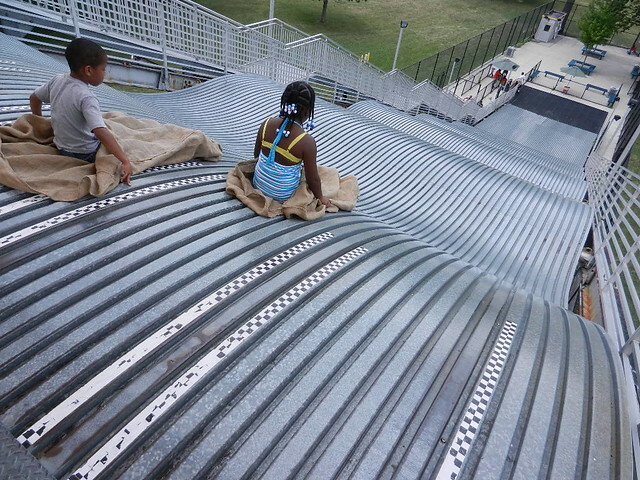 Also on Belle Isle is the Giant Slide, I remember these well from when I was a child. Did you ever slide down one? You carry the burlap sack up what seems like an endless staircase, climb inside, give yourself a push off and WOOSH, down you go! It’s pretty much the same these days. This is a fairly new slide, there were just a few people in line when we passed, so we thought we’d give it a go. We purchased our tickets, $1 each, picked out our burlap bag and up we went. There were two kids at the top getting ready to go down, there’s someone working at the top who instructs you on proper slide etiquette. 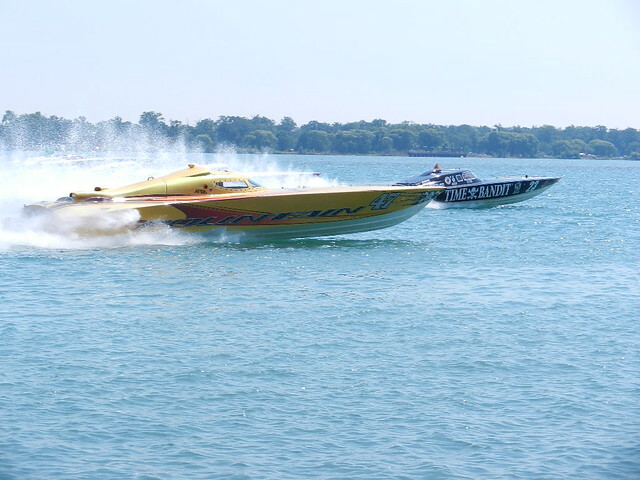 If you want to go fast take lane one or two, otherwise the further right you go the more mellow the ride. Kris had the camera so he went down about lane three or four, I felt brave so I went for the fast lane. I slid my body into the sack, gathered up the excess on the sides in my hand and inched myself to the edge, then pushed off. The first hill was pretty mellow, and I was thinking, gee this is fun, but I’d like to go a little faster. I hit the second hill with a little more speed thinking ok, I like this, on the third hill I got air. As I landed I started to wonder if there was a way to slow down….. before I knew it I was in the air off the next hill and landed with a thump. I remember hearing short little screams, and then realized they were coming from me! As I came off the fifth hill, I worried how and where I would land, I did so about halfway down the flat of the slide with amazing speed. At then end of the slide they have put down material that stops you in your tracks; As I sat there in the sudden stillness I began to laugh, what a ride! After reliving childhood memories of Bob-Lo Island and riding the Giant Slide lunch had to somewhere fun too. Lafayette Coney Island; This place is legendary. 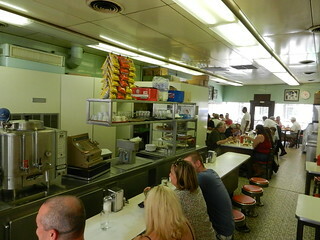 It has had it share of visits from the Food Network, local personalities, and movie stars. The food fight scene in Whip It! was filmed here too. But it’s the food and atmosphere that has been bringing people back for decades. 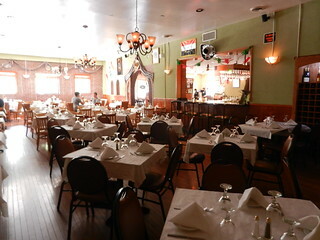 The place was packed, so we were relieved to find an open table. 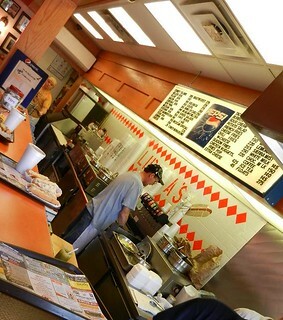 You can tell who the regulars are, they are greeted by name and order “the usual”. Kris ordered 1 and 1, me, a loose hamburger with everything and fries. Keep an eye open for waiters performing gravity defying tricks with tableware and beverages. Our food arrived lightning fast, served up with icy cold cans of Diet Coke, is was just as good as I remember. 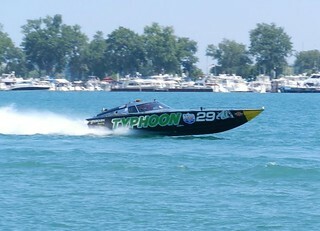 Our destination for the Fourth of July was Cleveland, but you know what they say; getting there is half the fun! We packed up our SRT4 and headed south on I-75, it is truly the most boring stretch of road but it’s the quickest way out. We rarely take freeways and if we do, it’s only for a short time. 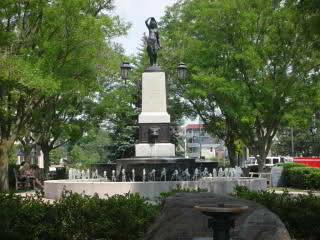 Once outside of Toledo we exit the freeway and make our way to the small town of Galion. Kris loves a good country road, through the years he has refined routes to our favorite get-aways, he has perfected the trip to and from Cleveland. 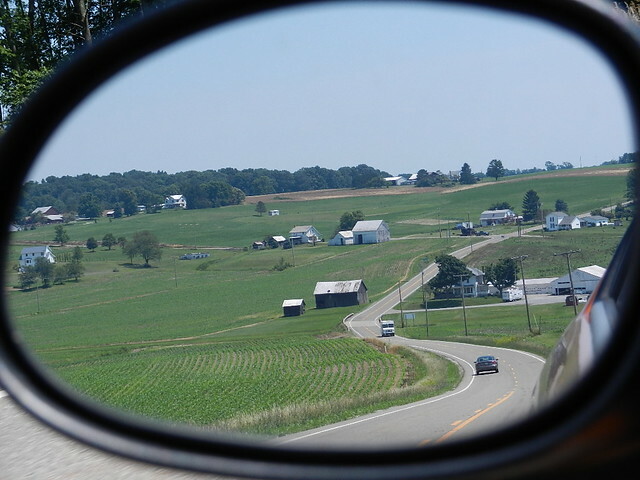 Anyone who likes to drive back roads will surely enjoy the ride, Amish Country is by no means “on the way” , but if you’re not in a hurry it makes for a great detour ! Take 97 out of Galion and continue east through Lexington, Bellville, and Butler.This stretch of road takes you through numerous tiny towns and past beautiful farmsteads. Cows of all sizes and colors graze, goats stand on top of their houses as knee-high corn waves in the warm summer breeze, it is all very relaxing. The roads start to get curvier here and hills are more frequent, You will come upon the Mohican Memorial State Forest, and it’s a beauty; more than 4,500 acres of white and red pine, gum, aspen, ash, cherry and walnut trees inhabit the land. 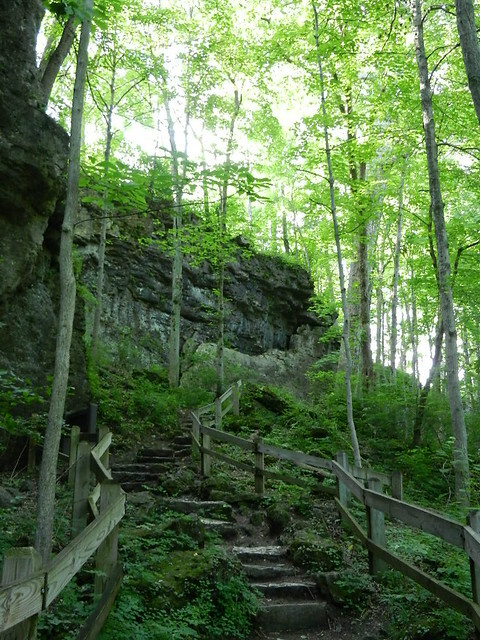 If you have the time stop and go for a hike, hiking trails wind through the primitive and scenic areas of the forest and park, ending up in places like Pine Run Creek, The Fire Tower and Clearfork Gorge, maps are available. 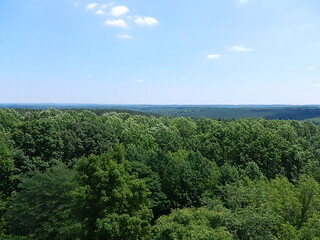 We made a stop at the fire tower and the gorge overlook, time was short, so no hiking today. Once in Loudonville follow 39/60 into Amish country. Notice how peaceful it is, the farms are stunning, as you climb the hilly roads fields look more like paintings than the real thing, the lush green of crops in contrast to amber waves of grain. 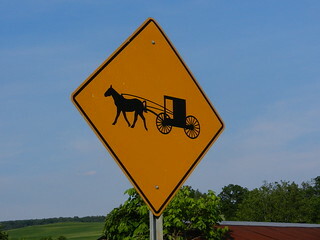 Horses and buggies rule the roads here, bicycles are also a favorite mode of transportation so you must be watchful. Berlin is Amish country’s most popular town, furniture stores dominate the area, there is a nice variety of shops and restaurants too. Speaking of restaurants, we had lunch at a little place called Boyd & Wurthmann, a local favorite since 1938 it is the oldest continuously operating restaurant in Berlin. We ordered a BLT on homemade wheat bread and a chef salad when suddenly our eyes were drawn to the most incredible strawberry shortcake ever seen. A chunk of the most amazing shortcake is first placed in a large bowl, followed by generous scoops of sweetened, fresh sliced Amish strawberries, next it’s your choice of ice cream or homemade whipped cream, yes, we definitely were ordering one. The thought of it still brings a smile to my face, the shortcake was like no other, it had the texture of a tres leches cake with maybe a touch of cornmeal in it, not like a biscuit or sponge cake at all. It had air pockets in it that gratefully soaked up the juice from the strawberries, with a generous serving of whipped cream it was summer in a bowl. We walked up and down the main street of Berlin, going in and out of lovely little shops, this is a girlfriends weekend shopping paradise! After sampling cheese, and chocolate we were ready to drive some more. 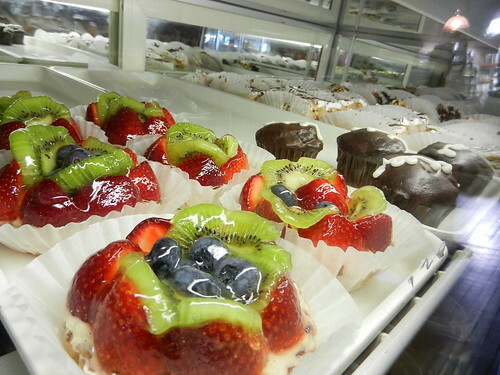 Going south on 557 you will come across Hershberger’s Farm & Bakery; Stop In! If you like animals and or food, this is paradise. 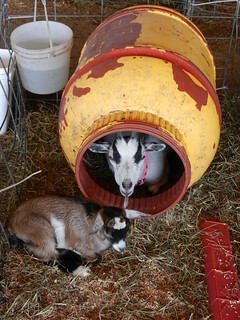 There’s a pavilion filled with farm animals and it seemed all just had babies; fenced in areas contain goats of all sizes and colors, baby cows and sheep relax in their pens. Looking for a pet? Puppies and bunnies are waiting to be adopted too. The animals are gentle and eager for attention, they sell ice cream cones filled with food you can feed them. 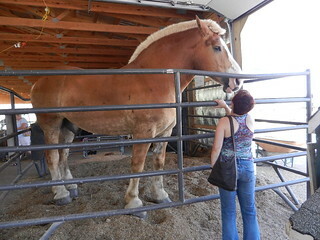 Visit the giant horse, I’ve never seen one so big. 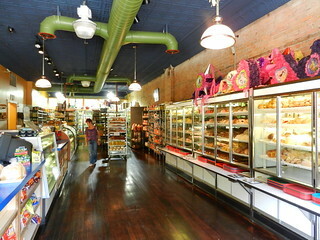 The bakery has much to choose from and also sells produce, you can even get a bite to eat here. There are several Amish towns in this particular area, next we were headed towards Charm, with a name like that what more can I say? Again, lots of agriculture here, Kris could drive for hours on these scenic roads, the view never grows tiresome. 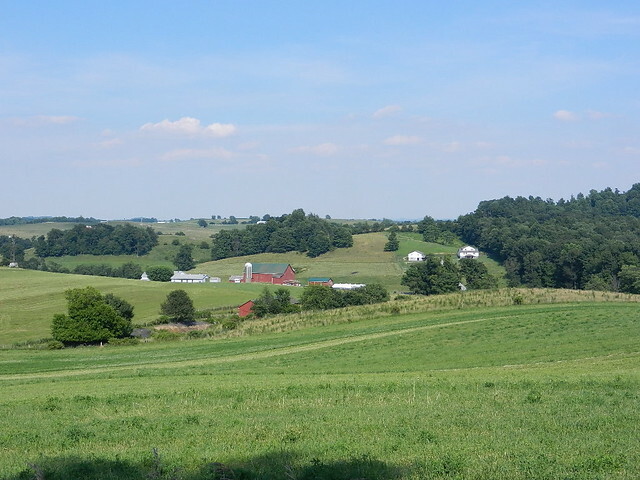 Walnut Creek, Winesburg and Wilmot are also nice stops, don’t hesitate to just drive around, each turn in the road brings another picture postcard view. The time passed too quickly, as always, and we still had to make our way to Cleveland. We took 93 north till dusk fell around us then got on 77 to the city. After checking into our Bed and Breakfast, we had dinner at Momocho Mod Mex in Ohio City, just a few blocks from where we were staying. 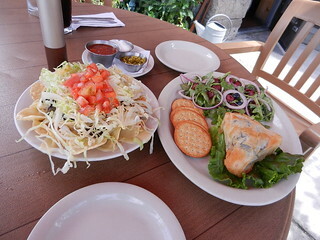 Their specialty is guacamole, and they offer many varieties, the menu is packed with delicious selections, we chose three small plates, empanadas with goat cheese and butternut squash, chilles rellenos that were out of this world, and a queso fundido with chorizo, yum! It was a day filled with breath-taking scenery and delectable food, now it was time to wind down and get some sleep. 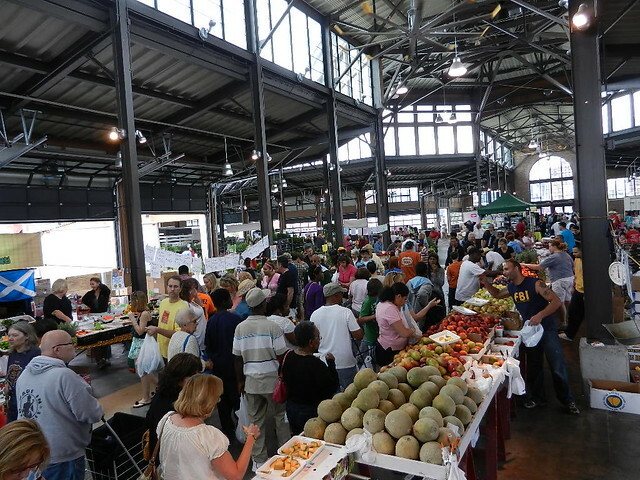 There’s nothing comparable to a Saturday at Eastern Market, it’s like a weekly celebration of Summer, and everyone is invited. This time of year flowers, shrubs and trees are still prevalent, but early crops are starting to show up too. The bundles of lettuce are amazing, different textures and colors just waiting for your favorite dressing. 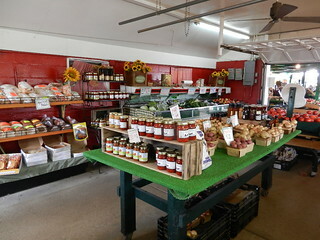 Shed #2 was recently renovated and has the highest concentration of gourmet type foods; Avalon sells bread, Zingermans has a table with cheese, Russell Street Deli sells soups. You can find Perogi, sausage, popcorn, coffee and granola too. If you come hungry, you won’t leave that way! Eastern Market has been in this location since 1891, it consists of a six-block open air public market in a 43 acre district of independent vendors, merchants, wholesalers, processors, and retailers of food products. 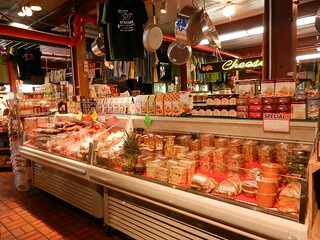 It is the largest Historic Public Market in the US, it was placed on the National Register of Historic Places in 1977. Here’s another little tidbit for you: Part of the Underground Railroad went under Eastern Market to the Detroit River so slaves could make it safely to Canada. 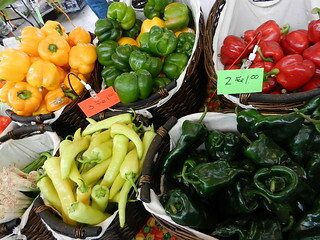 The privately owned restaurants, wholesale and retail shops are open Monday thru Saturday. 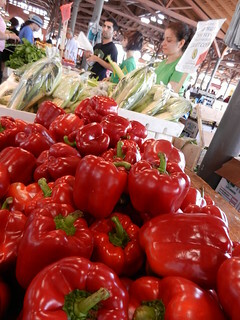 Eastern Market only operates on Saturday year-round, but starting July 12 until September 27, they will now offer a Tuesday Market from 11am to 7pm. 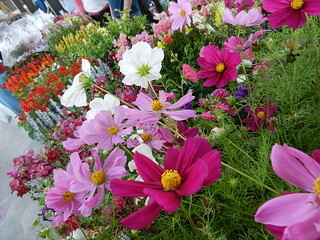 Sheds were crowded with folks taking advantage of bargain prices, vendors were selling whole flats of annuals for $1, yes I did mean one dollar, hanging baskets 2 for $5, my favorite, a giant Yucca in full bloom with variegated leaves, which I have never seen before, was $15…..I think I need a bigger yard…. There’s something in the air here, people are always smiling, the food may have something to do with that. Three different musicians scattered throughout the sheds entertained shoppers as vendors called out their just reduced prices, individuals arms were filled with flowers as thoughts of one more flat danced in their heads, discussions about how many strawberries it takes to make a pie could be heard in passing. On any given market day you will encounter a diversity of dress, overhear various foreign languages, walk among a multitude of strangers, try something you’ve never had before, and simply have a wonderful day. 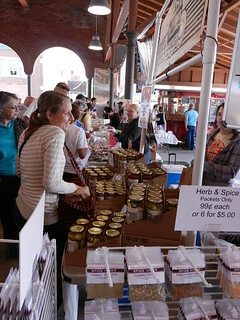 With all the samples we ate at the market it’s hard to believe we could still be hungry, but lunchtime was calling. Being such a beautiful day, the patio at Traffic Jam and Snug in Midtown was quite inviting. Traffic Jam opened in 1965 in this very space, it has an in-house bakery, microbrewery, and dairy, three of my favorite food groups! The menu is large and offers traditional standards like steak and Mac & Cheese to vegetarian dishes that will knock your socks off. One added bonus of having their own dairy is the award winning cheese they serve. We ordered the special of the day, a platter with Camembert cheese, crackers, and a salad of spicy arugula and fresh berries tossed in a banana vinaigrette, my mouth is watering just thinking about it. The Camembert was wrapped in puff pastry and baked to perfection, the cheese creamy and mild like a Brie, delicious on it’s own or atop a cracker. The salad was scrumptious, the sweetness of the berries a nice compliment to the peppery arugula, and Oh that dressing, with just a hint of banana it pulled all the flavors together. Along with that we got TJ’s much loved nachos, a good sized serving of corn chips covered in melted white cheese with black beans, served with jalapeno slices, sour cream and salsa, makes you want to drive there right now doesn’t it? 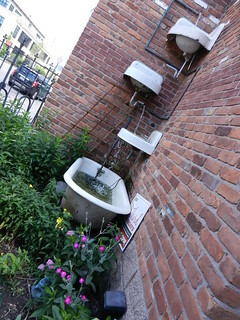 I have to say it was such a pleasurable meal, the food of course was delectable, but sitting outside with the sun shining, listening to the water trickle from the fountain just added to the experience. Here in Michigan we know how to appreciate a beautiful day. 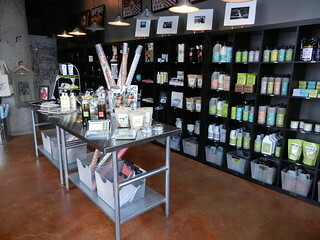 Across Canfield from Traffic Jam is a charming little boutique called Bureau Of Urban Living. It’s one of those stores with attractive merchandise for your home that is laid out in such a way you want to buy every single thing. They have everything from wine glasses, dishes, and candles to note cards and a full line of Mrs Meyers cleaning products. 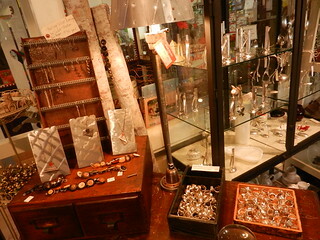 The selection is continuously updated and also includes books and some jewelry. 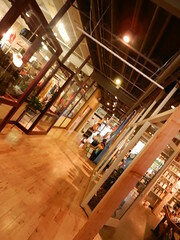 The interior has a modern, slightly industrial feeling, very cool, I enjoy stopping in whenever I am in the area. The owner is a huge supporter of Detroit, and seems to know everyone who has a small business in the city. Midtown is becoming more populated with independent little shops and restaurants and it’s a welcome evolution. If you visit Cincy make sure to take a ride up to Mt Adams. The ride can be complex but it’s well worth the effort. 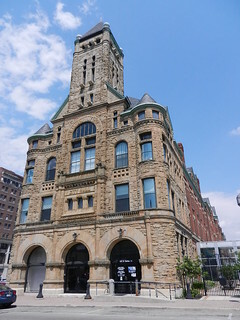 On the west side of Mt Adams is where you’ll find restaurants, shops, bars, wonderful homes and great views of downtown. We chose the east side, Eden Park. 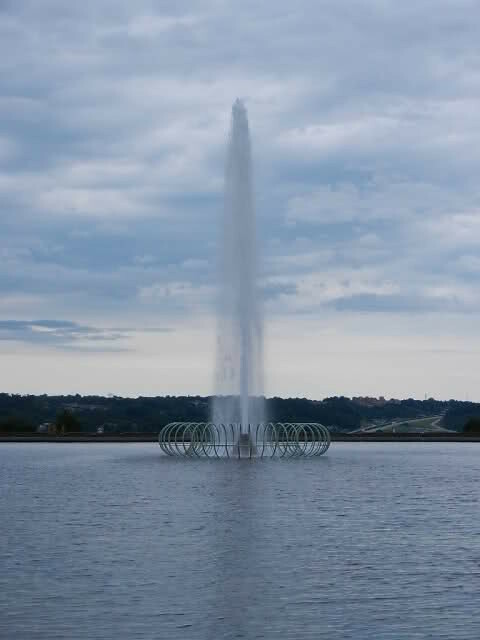 Home to the Cincinnati Art Museum, Cincinnati Playhouse In The Park, and the Krohn Conservatory, Eden Park is one of several hilltop parks that offers spectacular views of the city, and the mighty Ohio River. 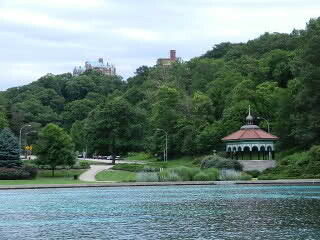 There are plenty of places to sit and relax here; what do you like, gardens, fountains, a gazebo, scenic vistas? 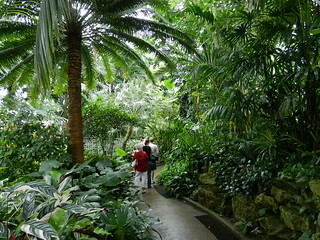 Feeling energetic, take a walk on one of the trails. Driving through the park with it’s elevation changes is a welcome variation from the flat lands of Detroit. 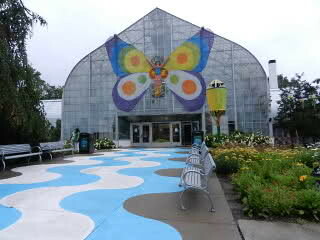 Krohn Conservatory is one of my favorite conservatories, it was built in 1933 at the height of the Art Deco movement. This glass and aluminum structure harbors over 3,500 different plant species in four different houses; Palm, Tropical, Desert, and Orchid.With it’s aluminum railings and terazzo floors it has that wonderful ‘old’ feeling to it that you just don’t get from modern conservatories. 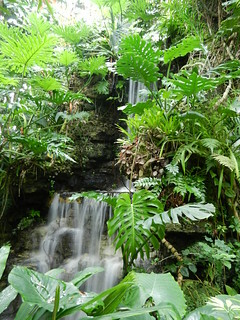 I am partial to the Rainforest waterfall, it’s just gorgeous! It was Father’s Day and the place was jammed, it seemed every family had the same idea; to take pictures with dad in this exotic environment. We drove around Eden Park for a bit, up and down the hills. 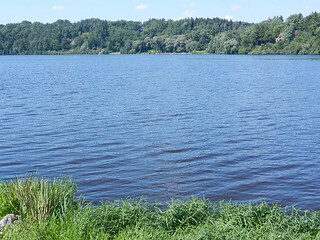 We stopped and took a walk around Mirror Lake, so pretty, and to a couple of the scenic overlooks. 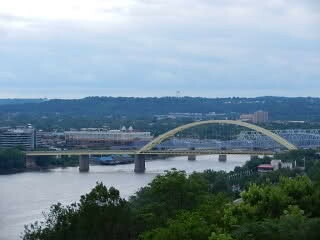 Cincinnati has a series of bridges crossing the rivers and you can see most of them from this vantage point. 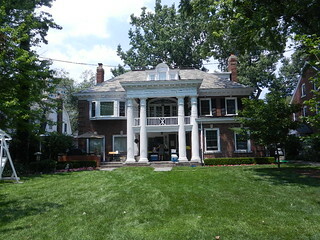 Eden Park is a part of Cincy that is not to be missed! Time for lunch before heading back north. Hyde Park is one area that has a lot of activity on a Sunday. We found a little cafe to have lunch on the patio, but to our dismay the rain started up again. 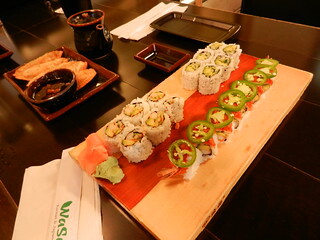 Just as well, the food was equally as good indoors as it would have been out. When in Cincy you have got to try their signature brand of ice cream; Graeter’s. There is a location in Hyde Park Square and it conveniently sits adjacent to a park with benches and a beautiful fountain. The Buckeye Blitz is truly an Ohio thing, chocolate and peanut-butter, one of those perfect combinations of flavors. After we finished up our ice cream we took to the road once again, this time towards home. 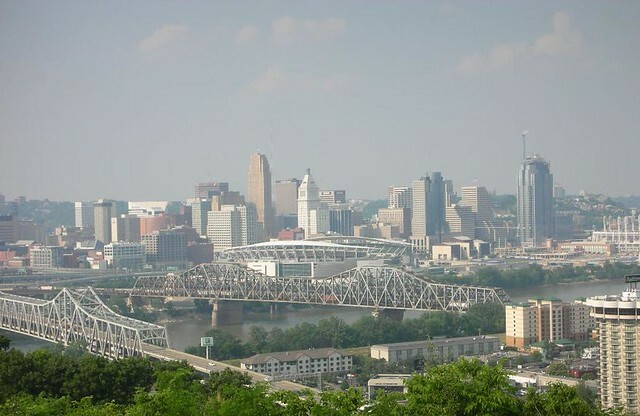 Cincinnati is one of the great All-American cities that graces the Midwest and makes for a great get-away from The D. Like most of our rust-belt relatives, we share a history of hard times and perseverance. We love spending our tourist dollars where they are most appreciated; hard working industrial towns like our own that have far more to offer than most realize.